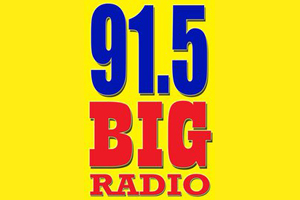 DWKY, currently broadcasting under the brand 91.5 Big Radio, is a music FM radio station of Mabuhay Broadcasting System, Inc. in the Philippines. The station's studio is located at ground floor AIC Gold Tower, F. Ortigas Jr. Rd., Ortigas Center, Pasig City and transmitter is located at Brgy. Muzon, Malabon.